The new sign boards are in place at Halfway and the posts on the walking trail have been refreshed with new markers. The Nant y Dresglen Trail at Halfway is a circular route which winds through the trees, never going far from the waters of Nant y Dresglen. The route is 2.2 miles with a shorter option. 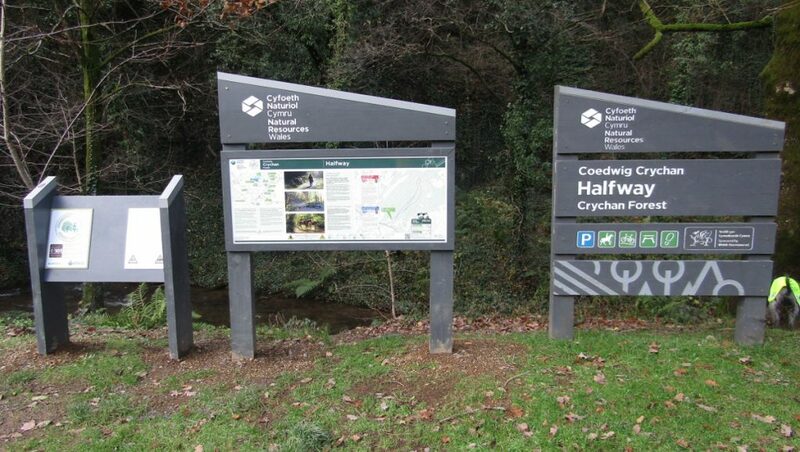 There will be new boards and signed walking routes at the Crychan Forest car parks at Cefn Farm, Esgair Fwyog and Brynffo. There are many other trials in Crychan Forest and Halfway for walkers, cyclist and horse riders. These can be found on the Crychan Forest Association website.